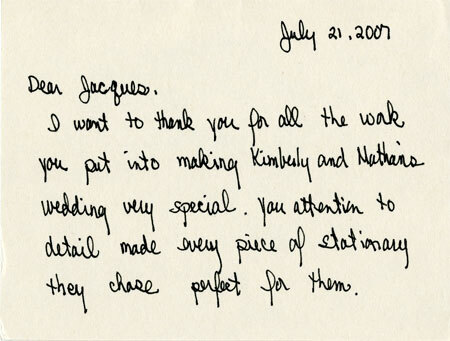 Over the years, we have been lucky to share our experience, at Hyegraph Invitations & Calligraphy, with our wonderful customers. 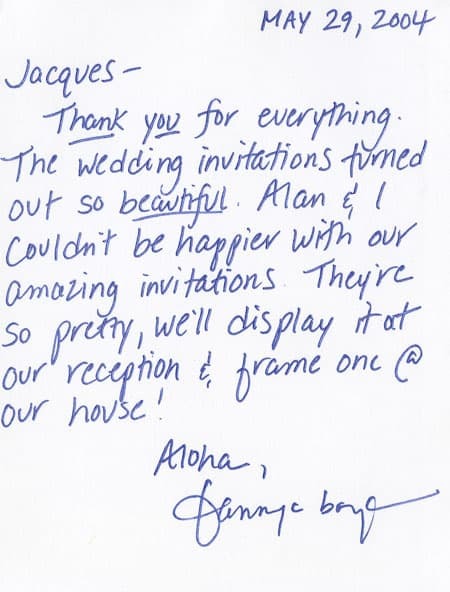 We realize planning a wedding or an event can be stressful and time consuming. 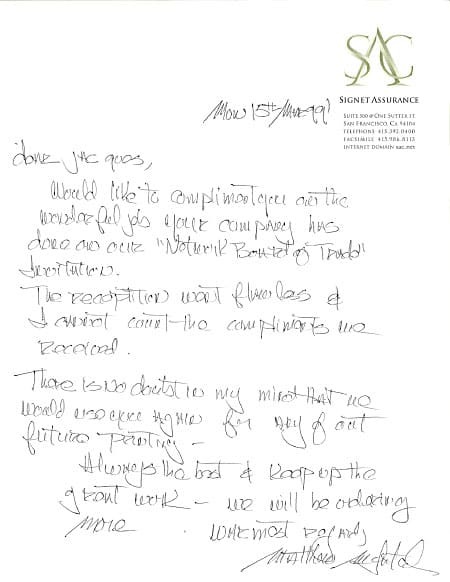 However, it is also a creative process which is interesting, challenging and because of our clients, extremely fun! 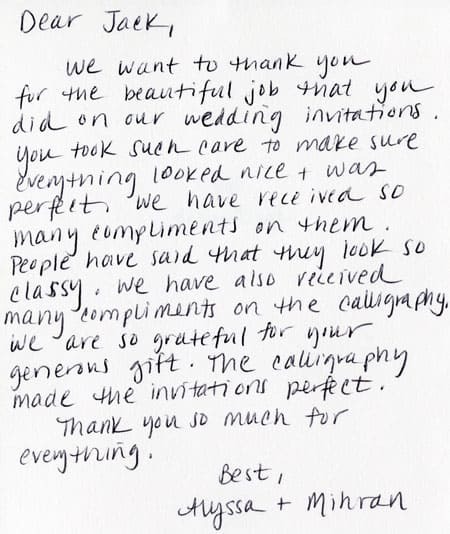 Here are some highlights of notes written from our clients about their experiences during the invitation and calligraphy design process. 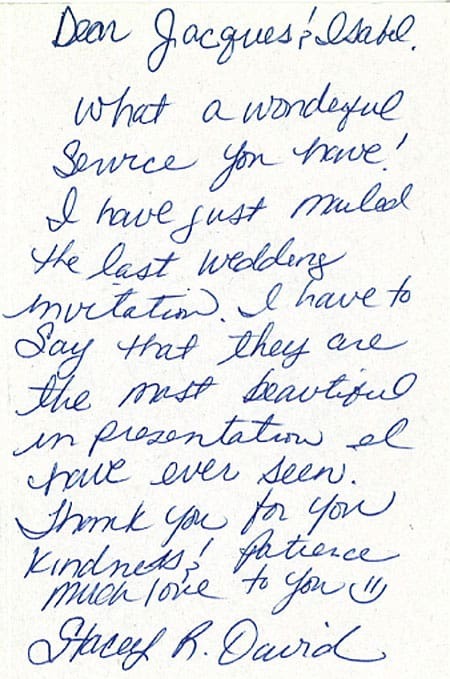 More recently, we have our online reviews from Wedding Wire and YELP! 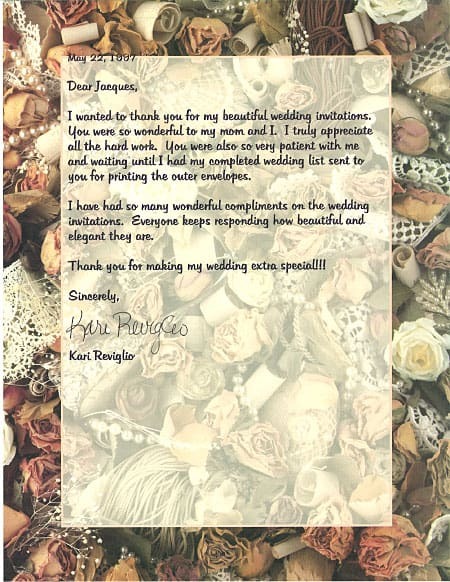 Enjoy reading and hope to plan a special occasion with you. Jacques and the Hyegraph Team. 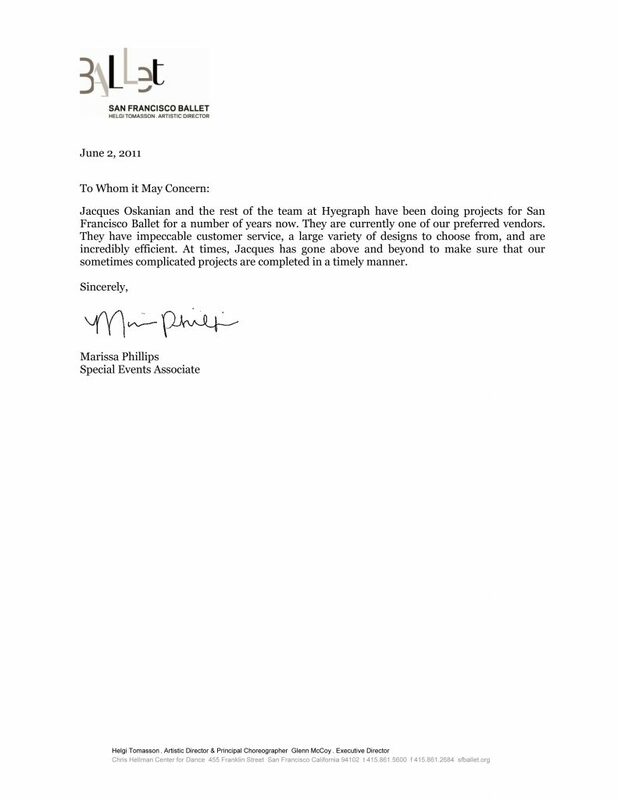 "I work for a medium-sized non-profit in the Mission District. We had some holiday cards to send out and wanted to add that special touch to the packaging. 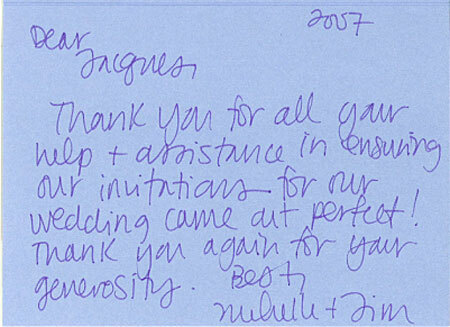 We decided to address the envelopes in calligraphy (rather than use a formal/standard label). 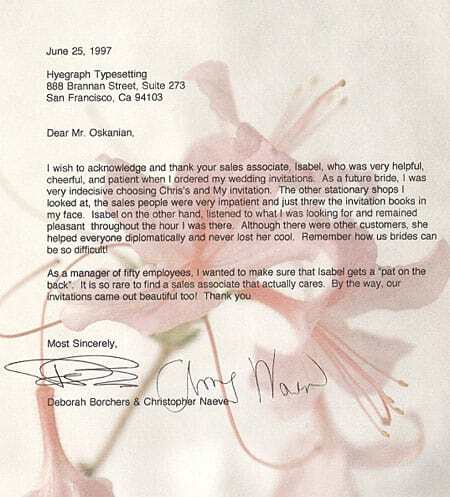 The work that Hyegraph did was wonderful. Not only was the work high quality, professional, and beautiful, but it was done so quickly! We received our prepared envelopes in less than a day! 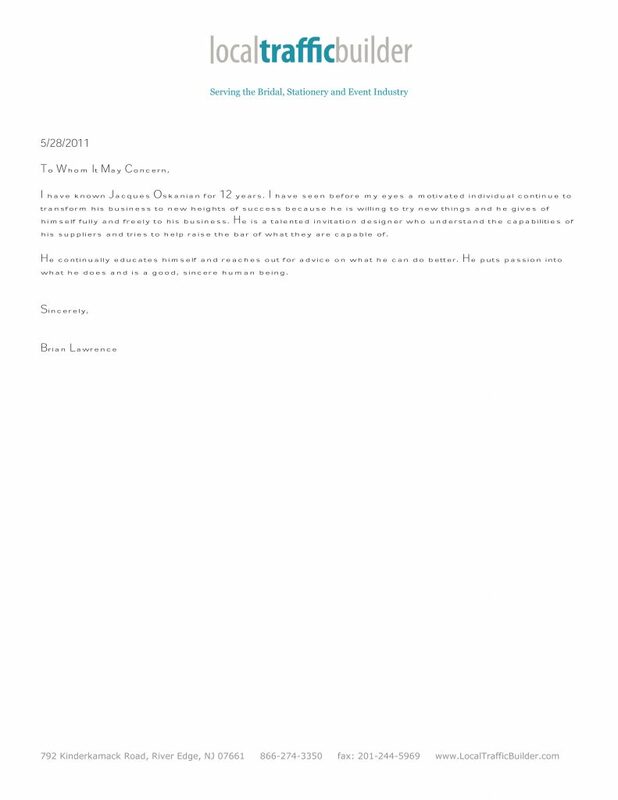 I would consider them for their other beautiful products and services anytime!" 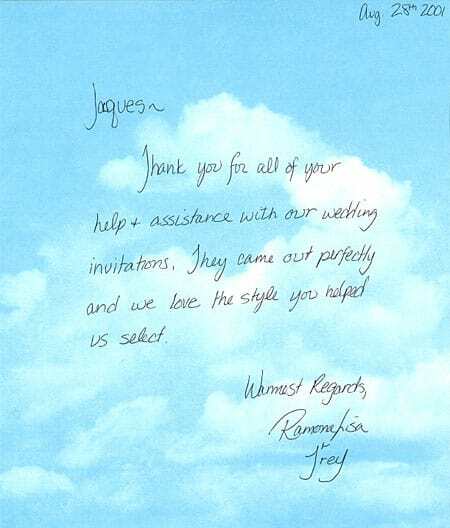 "Jacques and the Hyegraph staff were so incredibly knowledgeable and helpful in our wedding preparations. 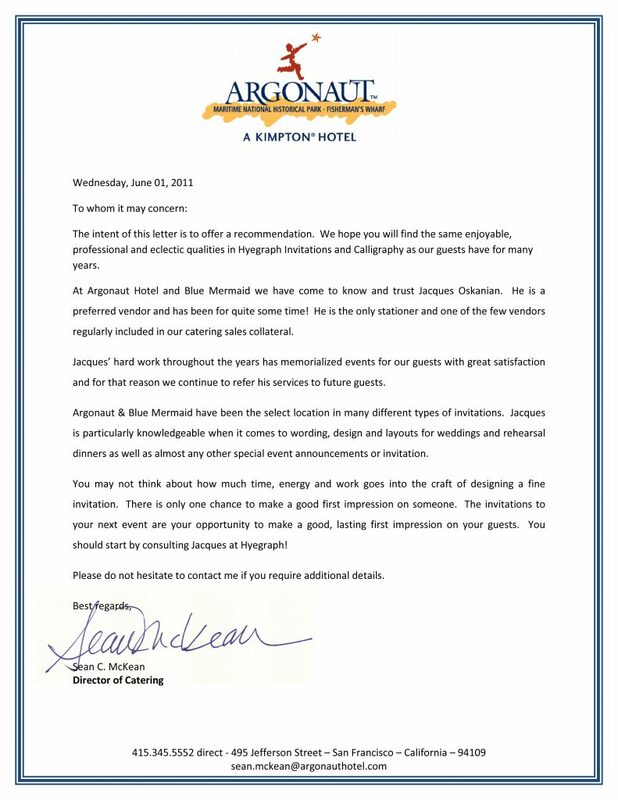 Jacques took the time to listen to our specific needs in order to create a personalized set of invitations which turned out exactly as we had hoped. 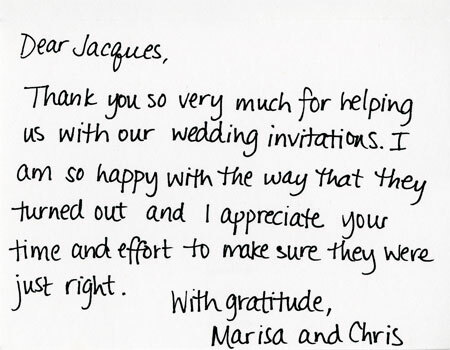 Attention to detail is quite important to us-and obviously Jacques shares that sentiment."